"Oh my goodness, all three of mine were like that...right up to 18 months," the well-meaning Learning Tree shopper confessed, tears pooling in the corners of her eyes as she helped me gather my things and gave me an empathetic hug. This was a gesture I'd grown used to in past weeks, grateful for the sympathy, understanding and sisterhood of the colic. I suddenly felt as if I'd known her my whole life and needed her immensely, despite not even knowing her name. It wasn't until this week though that I had fully understood their tears, but now it makes so much sense: the pieces of post traumatic stress of hours of hours upon crying with no way to make it better, wondering, worrying and slowly stepping into an abyss of insanity no matter how many one-block walks, hot showers or short-term sitters you can convince to rock, bounce and pacify your screaming baby. Then there are the moments of you clutching your stair rail, bawling equally as hard but silently as you dig deep to be grateful for this life you've created, hoping the neighbors don't see your weakness through the half-moon window. There's the arguments you have with your spouse, using words you'd never thought you exchange with actions of fury, surprising even yourself after hours of fussing with no solution begin to wear on your soul. The turning away of your older child as you enter the second half of the day of Bjorning, rocking, happy babying, etc., missing the recap of his day and what he's learned in pre-K. The downplaying you report back to your friends who ask how things are going with phrases like "he's a bit challenging during the day, but sleeps like a dream at night." Meanwhile, your house, relationships and pieces of you sink into a slow vat of quicksand that soon, no amount of fake smiles, trying to keep up appearances, social outings or Starbucks passion teas can make up for in your day to day. Finally, there is the guilt of all the things a mother should never think or say out loud as this too shall pass, the missed moments, even the tough ones when they're older and the blessing of having a lovely family at all. But you know what, tonight, I'm going to go ahead and say it: I'm tired. I need help, on top of the generous amount of assistance I'm blessed with day in and day out. My heart is broken. I don't understand my new son except in the two seconds a day he shoots me the most gorgeous smile that lights up his entire face, corner to corner in the most adorable way. Our relationship is strained. All my relationships are strained. I feel helpless, hopeless and incapable of raising this tiny being who is sure to be great, but in the meantime, requires the significant amounts of patience, creativity and endurance that most days I'm unsure I'm capable of achieving. Some days I feel like a prisoner in my own home, unable to do anything but rock, sway, swaddle, shoosh, white noise, deep knee bend, pacify, soothe, sing and read to lest the squeaky wails begin, opening me up to more judgement and fatigue than I would've experienced on my own. He's never happy. I don't understand why he's never happy. And that makes me very unhappy. Yes I've tried strategy X, Y, Z and yes I cherish every second, even the tough ones, for what a gift it is to have this beautiful being a year after trying and against all odds with so many struggling with infertility out there. 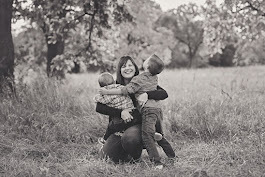 I love my sons more than anything on this earth and plan to give them everything I have in this lifetime and beyond, but I needed just a second, a minute to share this post secret: I'm hurting. This is hard. And some days I don't know how the two of us are quite going to make it to those magical moments where it all ends for a few blissful hours of evening sleep and I watch as he dreams, the corners of his mouth turning into little grins and I know he's found euphoria on the other side. And while I wouldn't change it for the world as I spiritually appreciate this is the hand I'm currently meant to be dealt, I look forward to the hour where he rests peacefully in my arms, finds his happy place in life and feels like the amazing baby he is and was alway meant to be. Until then I'll rock, sway, swish, bounce and keep trying to fix you.